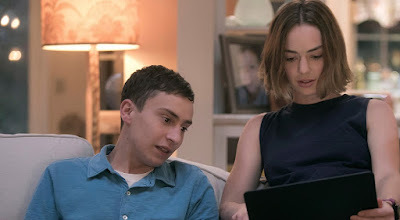 Atypical follows Sam, a teenager on the autism spectrum, who has decided he is ready for romance. In order to start dating -- and hopefully find love -- Sam will need to be more independent, which also sends his mother (Jennifer Jason Leigh) on her own life-changing path. She and the rest of Sam's family, including a scrappy sister and a father seeking a better understanding of his son, must adjust to change and explore what it means to be "normal." The series is created and written by Robia Rashid and Academy Award-winning producer Seth Gordon.